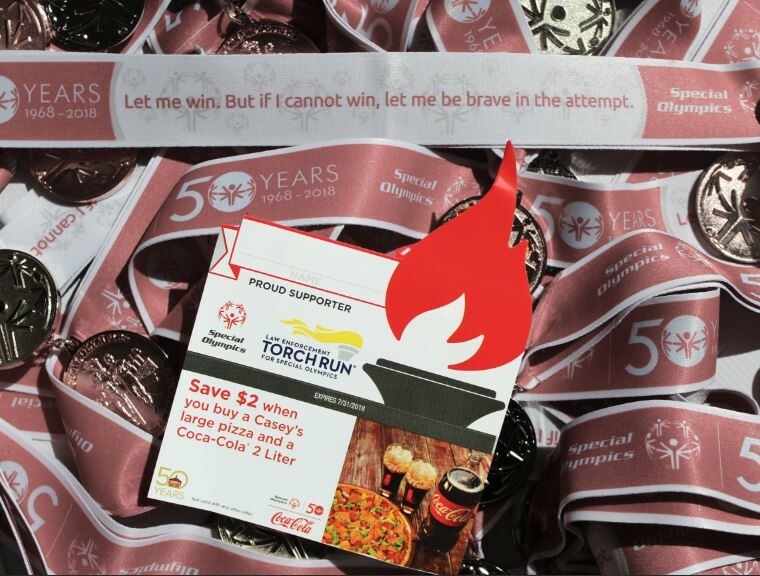 During the entire month of June, Casey’s General Store and Coca Cola are teaming up to benefit Special Olympics! You can be part of the team! Just stop by your local Casey’s General Store and buy a $1 pinup (and get a coupon for $2 off a pizza and 2 liter of Coke). All proceeds from pinup sales will be donated to Special Olympics! It’s as simple as that! Hurry in to your local Casey’s to get your commemorative Special Olympics fountain drink cup…once they’re gone, they’re gone! Click here to find a Casey’s near you.